Experienced entrepreneurs, educators and co-founders of Spirit Within Art LLC, business manager Isabella and artist Shel Waldman enjoy creating and offering works of artistic beauty that enlighten, inspire and empower the spirit, illustrating the interconnectedness of humankind with all living things. 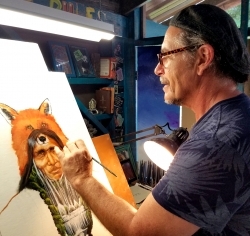 Keauu, HI, September 08, 2018 --(PR.com)-- Inspired by the spirit of Native American cultures since childhood, renowned artist Shel Waldman spent many years among the indigenous people of Canada and the US, working as an art teacher and painting and sharing in his and their familial ties and history. 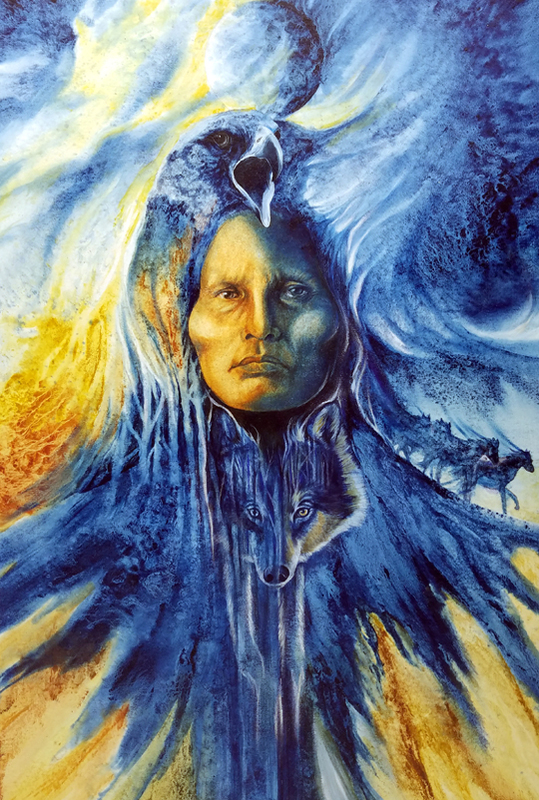 Thus, this series of powerful works speaks to the indomitable essence of the Native American culture and to the spirit of art that exists within all nature, while illustrating the important interconnectedness of humankind with wildlife and to every living thing. 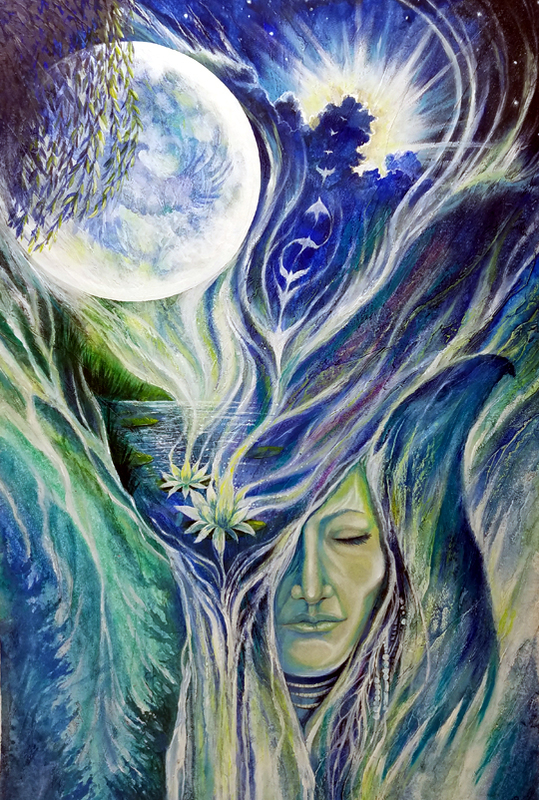 “As a gifted muralist, visionary illustrator, experienced arts teacher and renowned painter and professional artist for over 30 years, Shel has created a catalogue of visual beauty that encompasses the spiritual as well as the physical,” says Isabella Samovsky, cofounder and business manager of Spirit Within Art. This and future collections of unique fine art by Shel Waldman are available as custom framed originals and signed limited & open editions, as well as licensed and commissioned work, with proceeds of sold originals being donated to the “Warren Park Food Mobile Program” in Chicago, IL a nonprofit started by artist Shel Waldman over 6 years ago that feeds over 500 people per month. “Shel is a master mix-media fine artist, creating and painting works that come in numerous styles and sizes. This collection of 17 paintings is using mixed media, pencils, oils and acrylics on crescent board, with each original in approximately 20” x 30” size, while Giclees prints available in many sizes,” said Isabella. For more information about Spirit Within Art and any of it special art services and professional opportunities and Shel Waldman’s works, please visit the company’s online website and contact Isabella Samovsky directly there. She and artist Shel Waldman are available for PR and media interviews and reviews and can also be contacted as noted herein below. 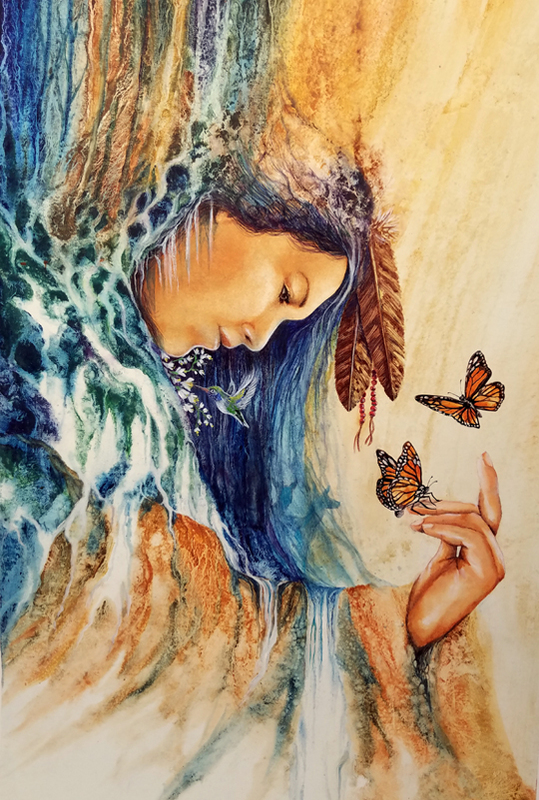 Available as an Original painting and signed museum quality giclée art prints of “Maiden of the Falls” by renowned painter Shel Waldman, from his Native American Spirit Collection. 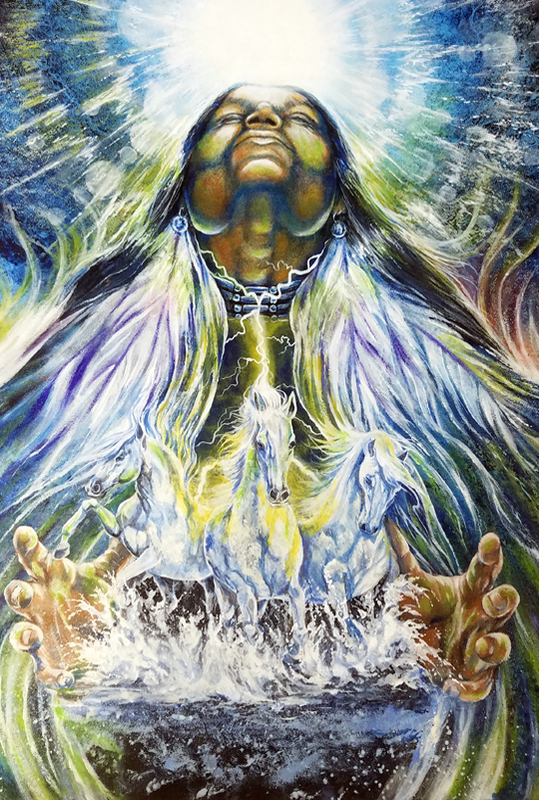 Available as an Original painting and signed museum quality giclée art prints of “Sky Gazer” by renowned painter Shel Waldman, from his Native American Spirit Collection. Available as an Original painting and signed museum quality giclée art prints of “Running Spirit” by renowned painter Shel Waldman, from his Native American Spirit Collection. 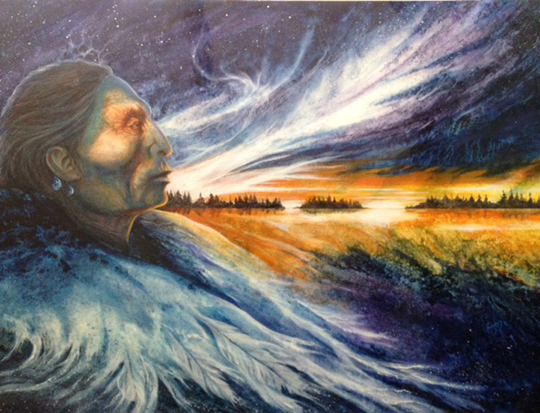 Available as an Original painting and signed museum quality giclée art prints of “Dreamscape” by renowned painter Shel Waldman, from his Native American Spirit Collection. Available as an Original painting and signed museum quality giclée art prints of “Ecliptic Storm” by renowned painter Shel Waldman, from his Native American Spirit Collection. 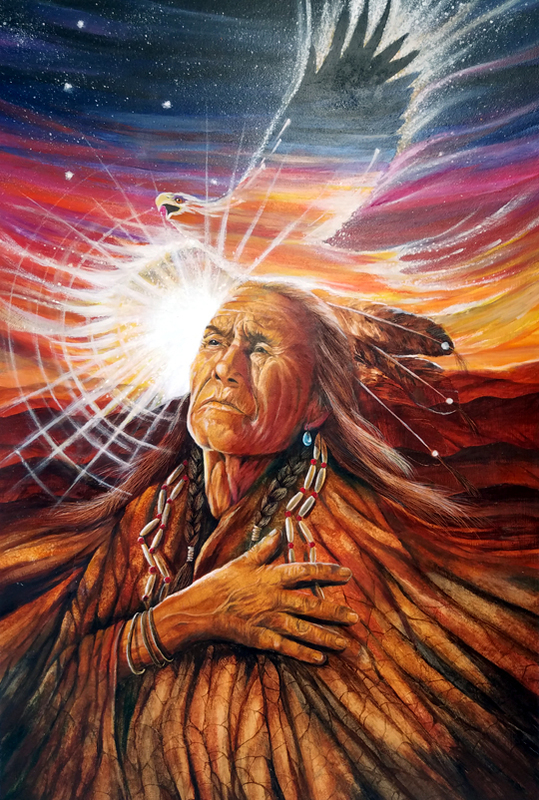 Available as an Original painting and signed museum quality giclée art prints of “Soaring Spirit” by renowned painter Shel Waldman, from his Native American Spirit Collection.